1. FCM endpoint: https://fcm.googleapis.com/fcm/send , your app server must direct all HTTP requests to this endpoint. POSTMAN will act as a app server. 2. 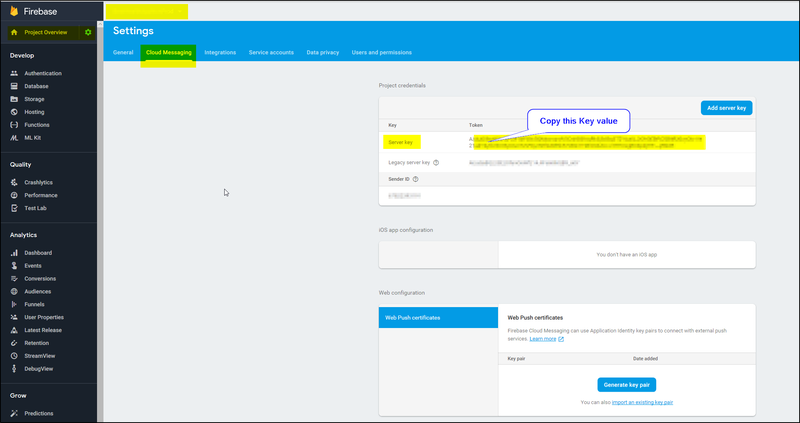 Server key: A server key that authorizes your app server for access to Google services, including sending messages via the Firebase Cloud Messaging legacy protocols. You obtain the server key when you create your Firebase project. You can view it in the Cloud Messaging tab of the Firebase console Settings pane. 3. Registration token: A unique token string that identifies each client app instance. The registration token is required for single device and device group messaging. Note that registration tokens must be kept secret. You can get this from your DB. Once you have these 3 values ready, you can test the PUSH Notification using POSTMAN. >> Open POSTMAN and create a POST request with endpoint as https://fcm.googleapis.com/fcm/send. >> Add Headers with Key “Authorization” and “Content-Type” with values key=<replace with Server key> and application/json respectively. You can also test the PUSH notification using AWS SNS service. You have to create platform application in AWS SNS. 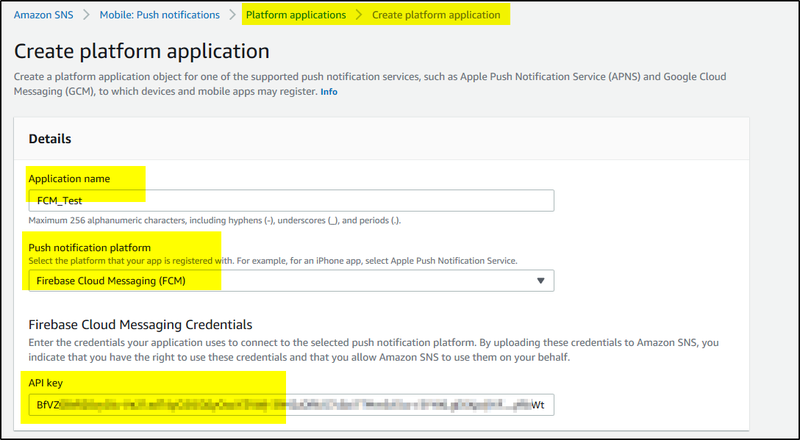 >> To create FCM platform application in AWS SNS, provide application name, select FCM from Push Notification platform drop-down, enter the Server Key value in API key field. >> For logging of delivery status, select IAM roles in “Delivery status logging” option. 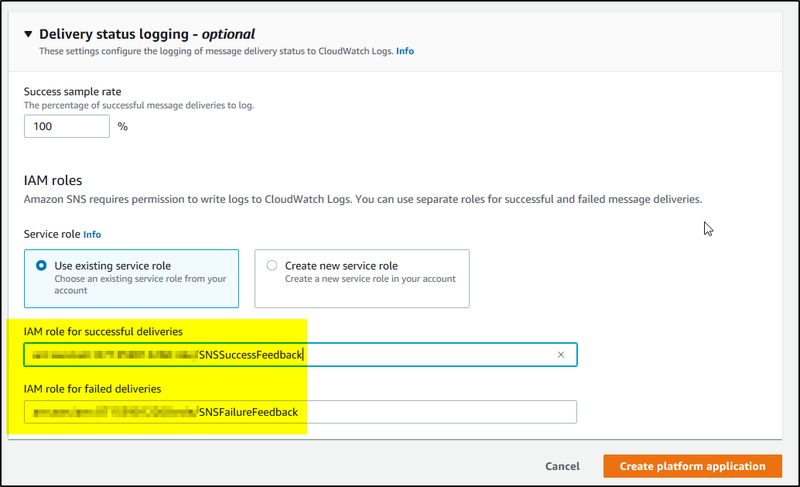 You can use existing role or create new role to provide access to cloudwatch. Then click Create Platform Application. >>To send PUSH notification, select the radio button in front of the Endpoint and click Publish Message. >>Please the JSON format message in Message body and click Publish Message. Make money by Selling your Content and Documents. Using POSTMAN you can test the FCM Push Notification messages to your android app client. Also AWS SNS service can be configured to send Push Notification messages to Android App devices. You can start self-hosted build agent (on Ubuntu) in docker containers. Create VSTS agent image with dependencies required and run it in docker container. This shell script downloads the Visual Studio Online Build Agent, installs on the new machine, registers with the Visual Studio Online account, and adds to the specified build agent pool and starts the build agent to accept jobs. Resolved- The current .NET SDK does not support targeting .NET Core 2.2. While building your project you receive this error – The current .NET SDK does not support targeting .NET Core 2.2. Either target .NET Core 2.1 or lower, or use a version of the .NET SDK that supports .NET Core 2.2. 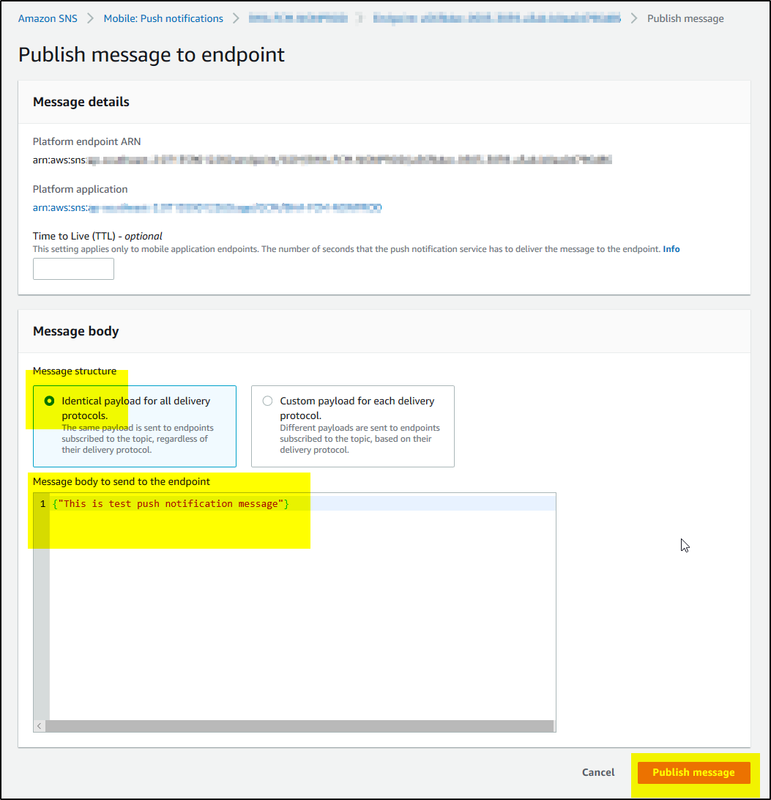 You can easily access the AWS API endpoints secured by API Key using Azure Logic App or test these API’s using POSTMAN. All Contents are Copyrighted to Turning Point.